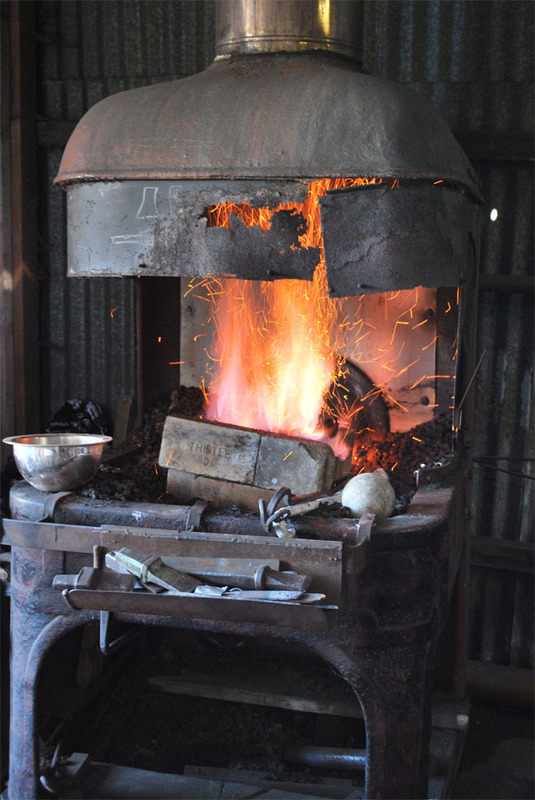 In my previous post I described the process by which we smelted iron and steel from natural ores at Bushfire Forge. Our next challenge was to see whether we could forge useable knives out of this material. 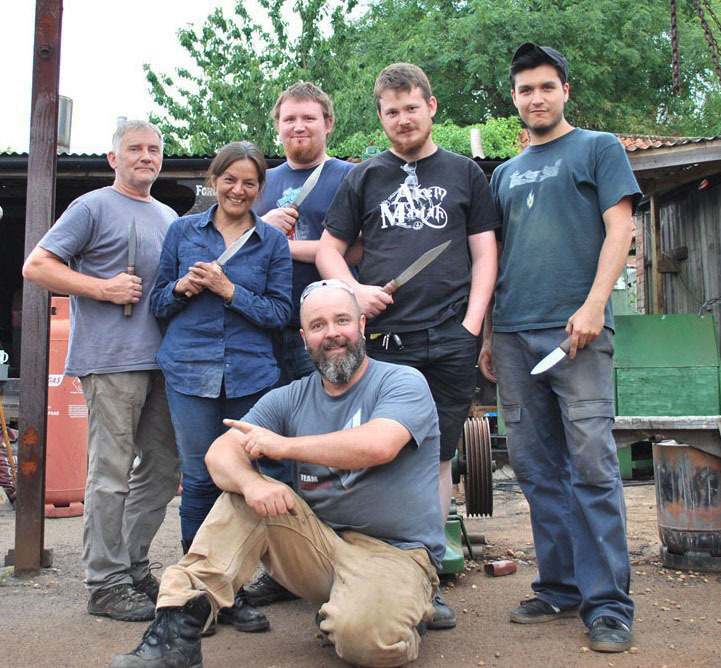 This experimental workshop was conceived and run by master bladesmith Owen Bush, and for participants like me it was the most awesome opportunity to learn about historical iron-smelting and blade-making. 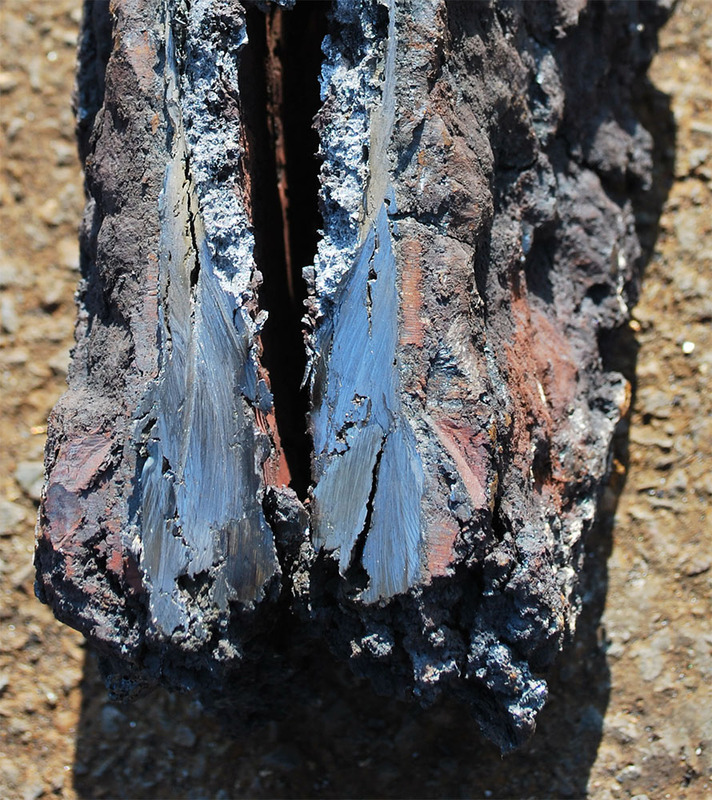 The material that we made in the two smelts – iron and steel – looked very viable and densely metallic when the compacted blooms were cut open. 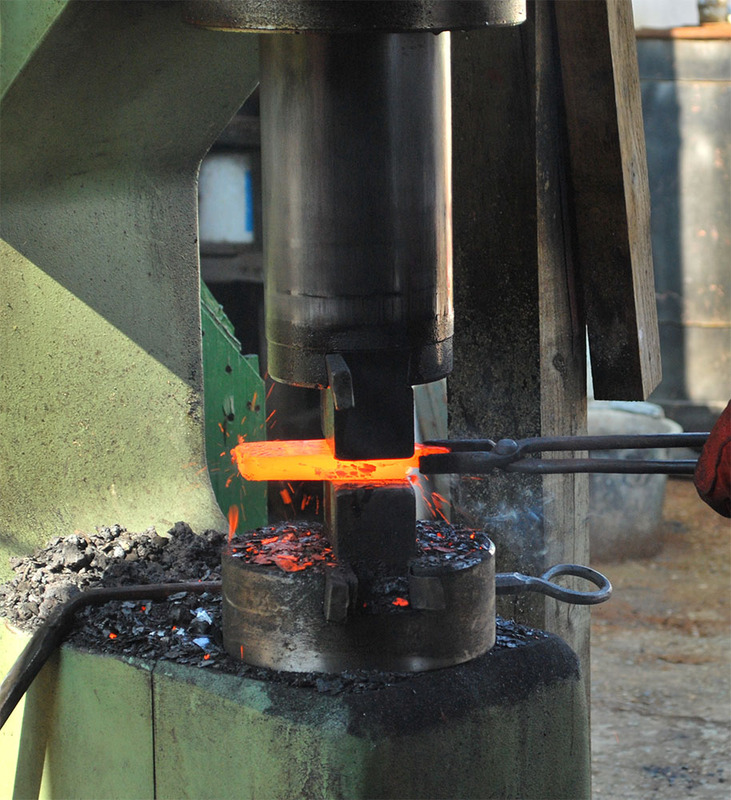 The raw lumps of metal were then re-heated to forge-welding temperature (about 1,300 degrees Centigrade) shaped into bars, and repeatedly folded and hammered to homogenize and consolidate the material. This was done by Owen on the power-hammer. From the bars of iron (made from Siderite ore) and steel (made from Magnetite ore) Owen forged smaller billets from which the knife blades were to be made. He sandwiched a layer of steel between outer layers of iron – a subtle piece of engineering which exploits the hardness of the high-carbon steel for the knife-edge while modifying its relative brittleness with a protective layer of more ductile iron. The magical process of forge-welding bonds the layers irrevocably together – I have covered the process in my previous post Forge-Welding Damascus Steel. 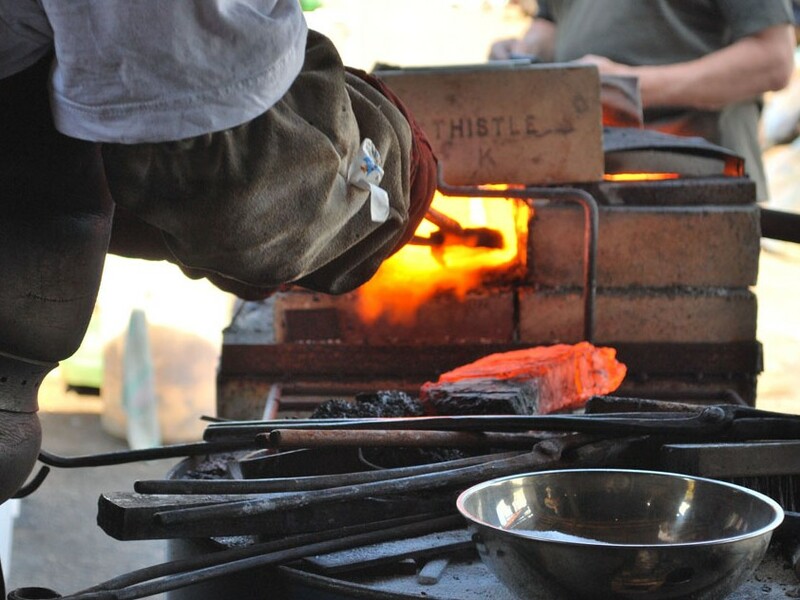 Next, Owen instructed us in the gentle art of blacksmithing to work our knives into shape. I have no pictures of this process, as we were all fully absorbed for several hours with this hot and demanding craft. Instead, I shall indulge in posting a picture of Owen’s beautiful old coke forge! 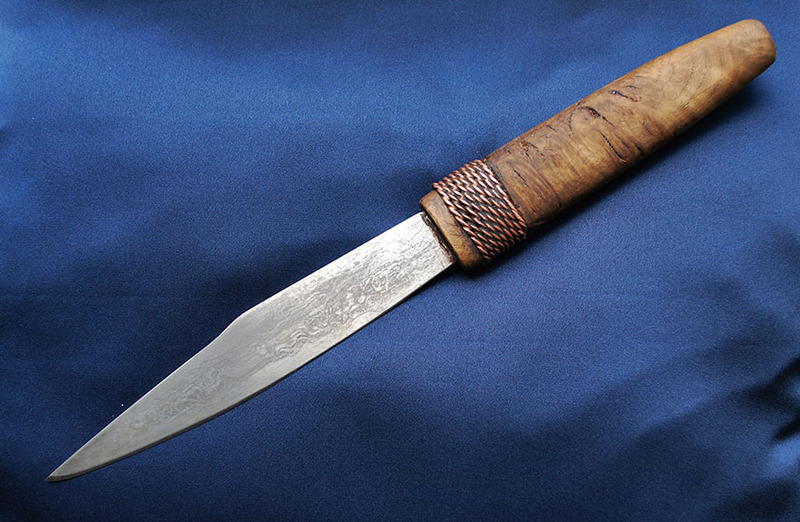 What I came up with was a nice elegant Seax, which is a Saxon blade. It has a distinctive “broken back” with a nose that tips forward at an aggressive angle, and its spine is kept quite thick and beefy. Seaxes are one of Owen’s specialities, and you can see a gallery of his work here. My seax – freshly forged on the left, and during the first stages of grinding and finishing, right. It took two days to grind and finish the blades we made. 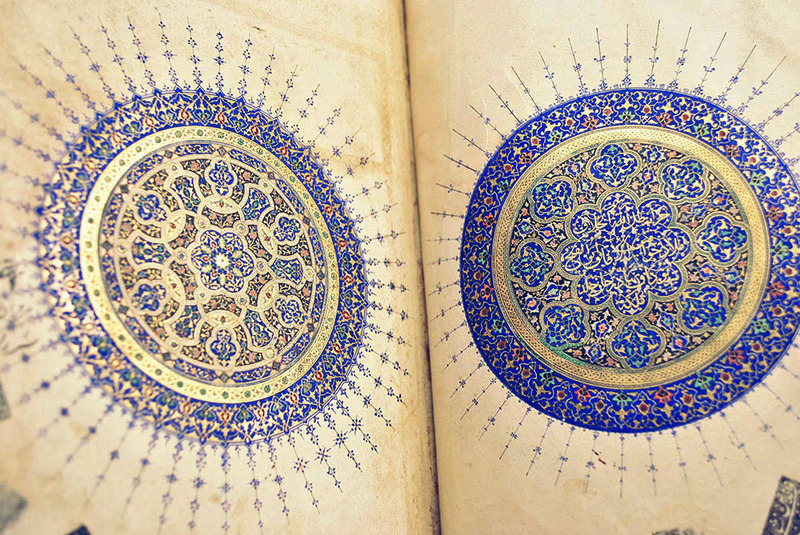 During grinding we refined the shape and the surface, and learned how to make a perfectly sharp bevelled edge. The blades were oil-hardened, then slowly tempered, and finally etched in ferric chloride to bring out the delicate pattern that results from the folding and forge-welding. And finally, Owen showed us how to make the handles out of hardwood, complete with a Saxon embellishment of twisted copper. Here is my finished knife, beautifully elegant and functional! We photographed the products of our seven-day workshop – our beautiful knives, with the sources they had come from – the siderite and magnetite ores – all arranged on a blacksmith’s leather apron. And finally, here is the whole company, with our master Owen Bush in the middle! 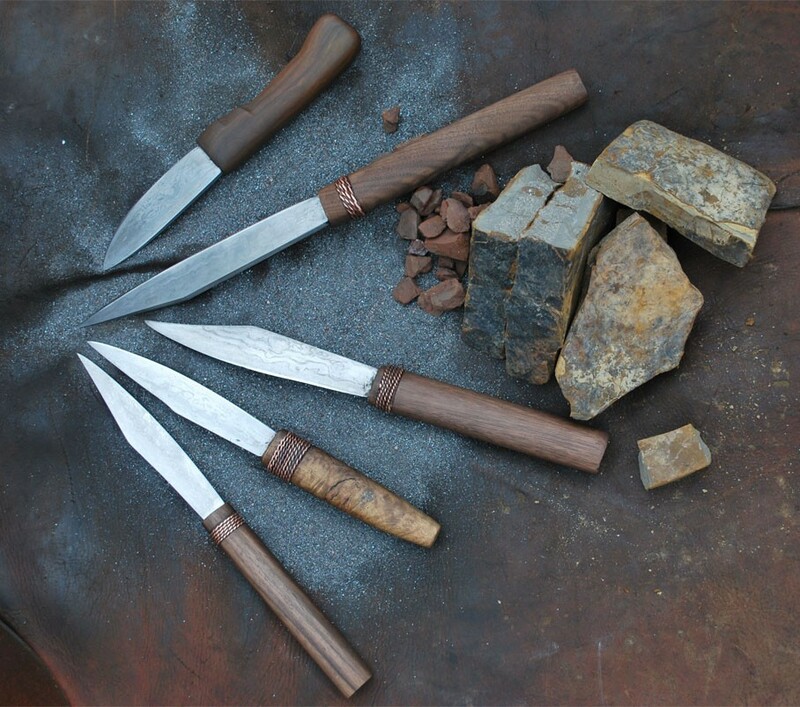 Now a days lot of people are looking for hand forged knives since it is quite durable & long lasting and your information is quite helpful in understanding the quality of knives & it will be helpful while buying knives online or offline. Thanks for sharing the invaluable post. 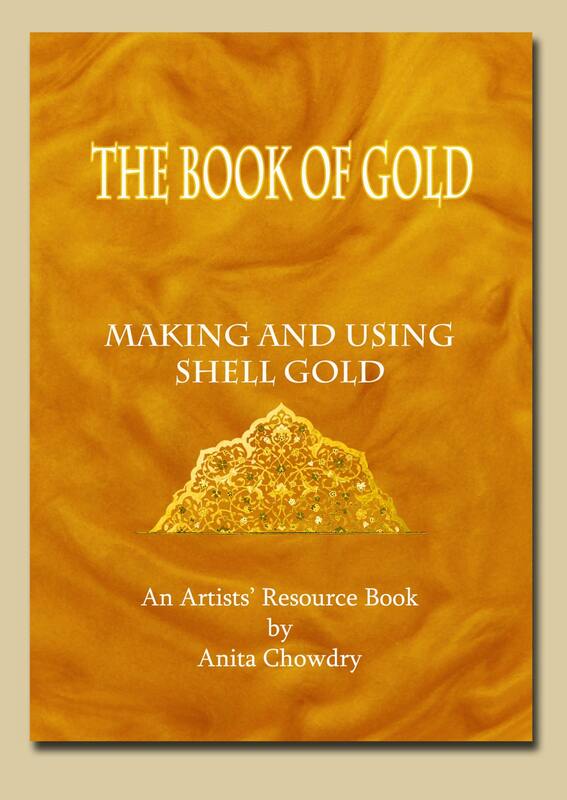 From stone to knife… an amazing journey most of us sadly take for granted and never participate in! Thanks. It certainly was an amazing journey!